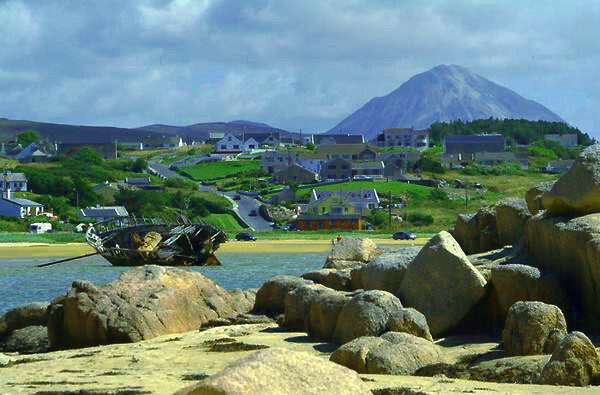 Viewing Mount Errigal and Bunbeg from Maheraclogher Beach, in the Gweedore area of Donegal. The boat wreck known as Bád Eddie, (Original name Cara na Mara) lies on the beach since about 1977. There is not much left of the boat now.